Which outfit/hairstyle was the best on Blair in "Summer, kind of wonderful"? What is your favourite thing about blair? In what episode Blair said: "Whoever कहा that money doesn't buy hapiness didn't know where to shop"??? आप guys, I need your help about Blair's picture. I was wondering myself why we didn't get to see our beloved क्वीन B wearing her famous headbands on the third season, then I remember the S*tupid Dan Humphrey dare to say to the UES princess "No और headbands in college" and I think since that moment आगे क्वीन B didn't wear a headband again. Like I कहा before I was missing and still I'm missing the headbands and दिया that last season we only got a few headbands from our क्वीन B I decided to post my चोटी, शीर्ष ten Blair's headbands. So which one is your favorite? Blair: I'm just as flummoxed as आप are. I got out at 53rd and made a run for it but he is faster than he looks. Blair: Oh Nate, what are आप doing here? I thought there was a Mets game. I saw Dorota wearing her hat. Blair: Penelope, take off that hideous scarf. आप can see it from space. 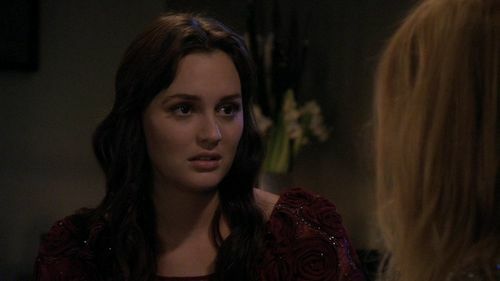 Blair: Serena's been in jail for four hours, she's already served और time than Lindsay Lohan and Nicole Richie combined! Chuck: What are आप doing with this insect? Blair: What? Dishonest? Bad news? He can't be any worse than you. Chuck: I'm the one trying to help you! Blair: Help me? Is that what आप were doing at your little gentleman's club while my life was going up in flames? I'd rather take Carter's help. Reason: Blair confronts Nate about his confession to 'Serena'. Reason: Chuck threatens to tell Nate about his and Blair's relationship if she continues seeing him. Blair: The only thing lamer than dating Dan Humphrey... is mourning Dan Humphrey. Blair: Damn that mother Chucker! He's totally right! I don't even like James! Blair: Chuck is an awful person. He does awful things. Blair: The true reason I should stay right where I am and not get in the car. Three words. Eight letters. Say it and I'm yours. Blair: A hot lifeguard is like kleenex! Use once and throw away. आप could ask for a better rebound! Serena: So, when's the party? Blair: Saturday... and you're kinda not invited. Since, until 12 hours ago, we all thought आप were at boarding school. And Jenny used up all the invites. Blair: We should get going, unless आप want us to wait for you. Looks like आप got a lot of yogurt left. Blair: Great. So, my dad left her for another man. She लॉस्ट 15 pounds, got an eye lift. It's been good for her. Serena: I प्यार you, B.
Blair Waldorf: [after waking up in बिस्तर together] आप were on the floor! Chuck Bass: I hurt my back. Blair Waldorf: How? It's not like आप ever do anything athletic. Chuck Bass: [suggestively] Well, that's not exactly true, now is it? Blair Waldorf: Fine, nothing that involves removing your scarf. Chuck Bass: That was one time; it was chilly. 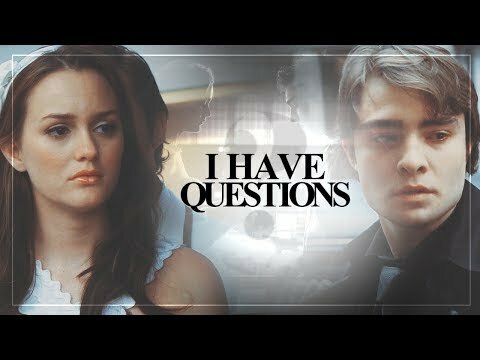 Blair Waldorf: Who, what, where, when, why? There may only be room for one क्वीन bee to rule the school, but there are और than enough harsh one-liners to go around. a comment was made to the poll: What other tv दिखाना would Blair fit into?